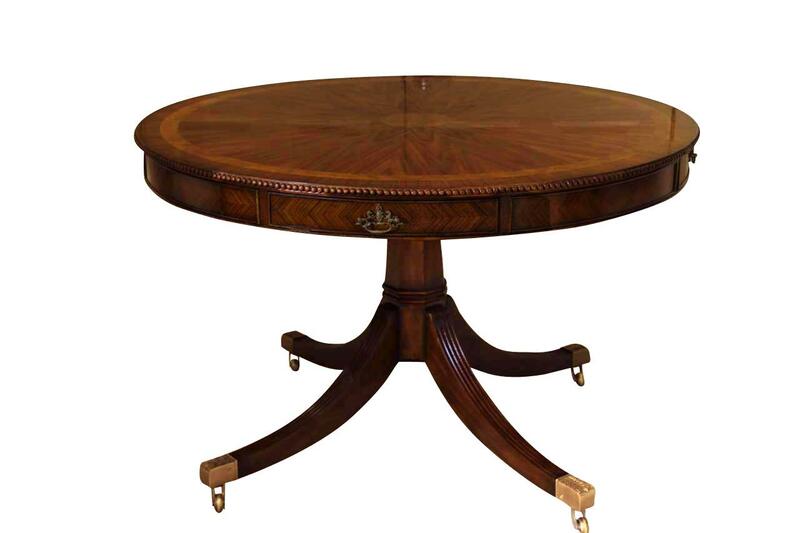 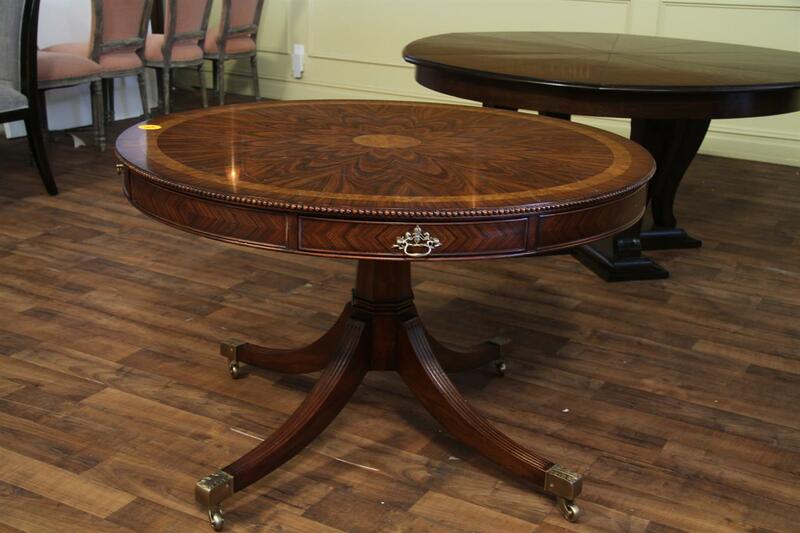 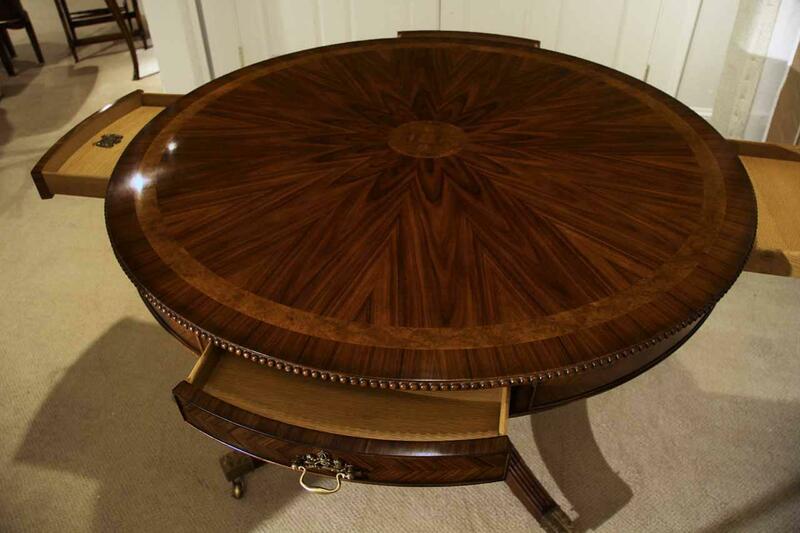 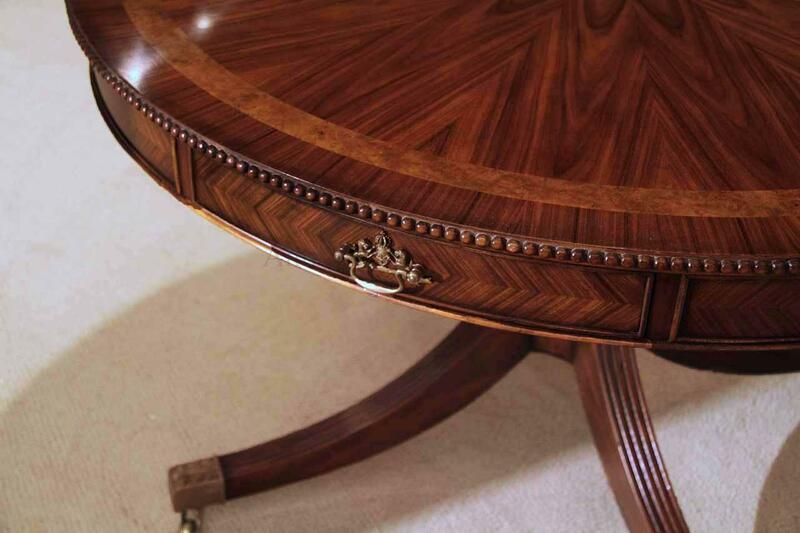 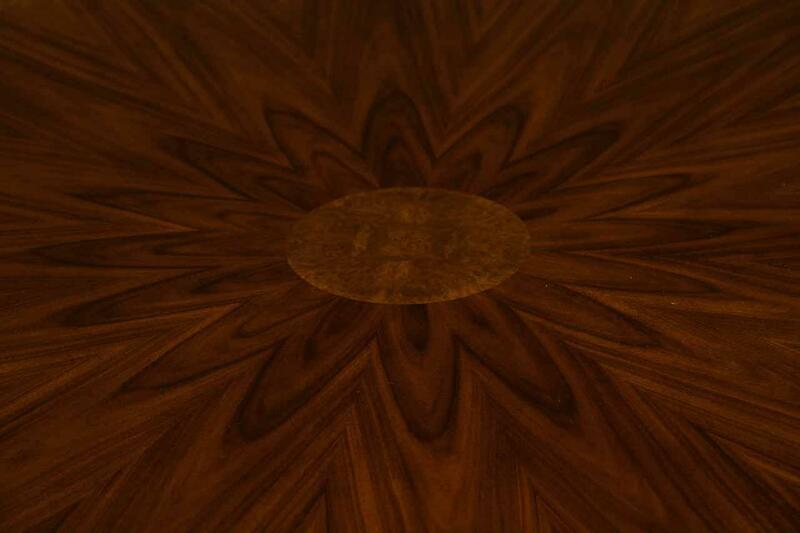 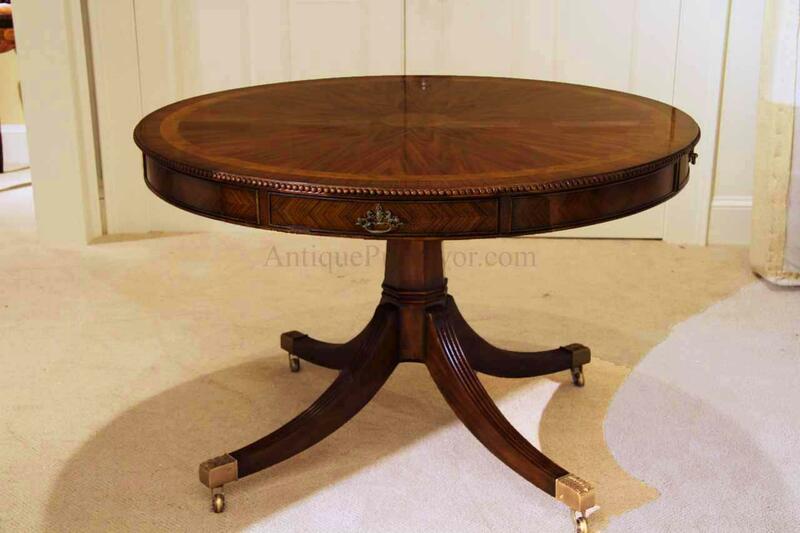 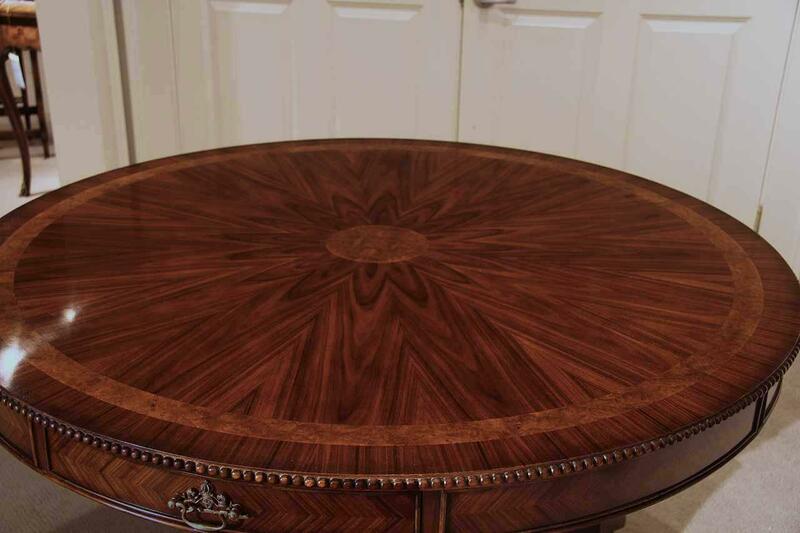 Description: 48 inch round mahogany and rosewood pedestal dining table or center table. 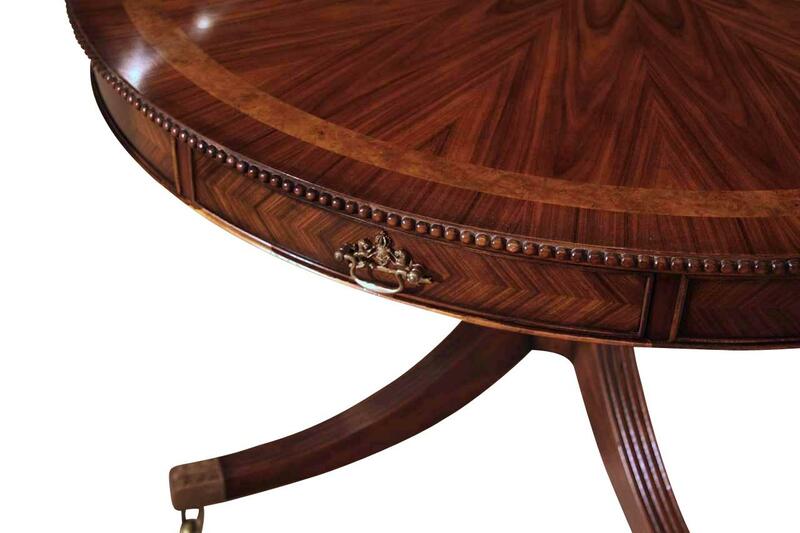 This table is 30 inches high and was designed to be used as a dining table. 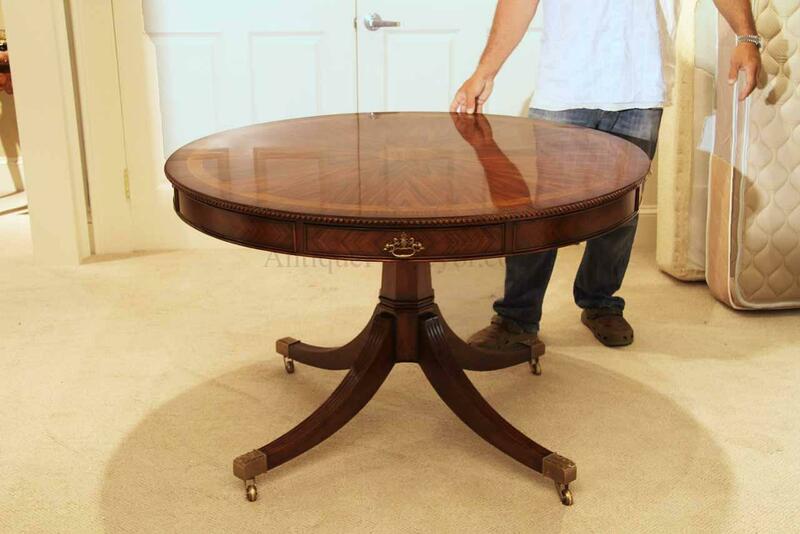 It would also serve as a foyer table or center table as well. 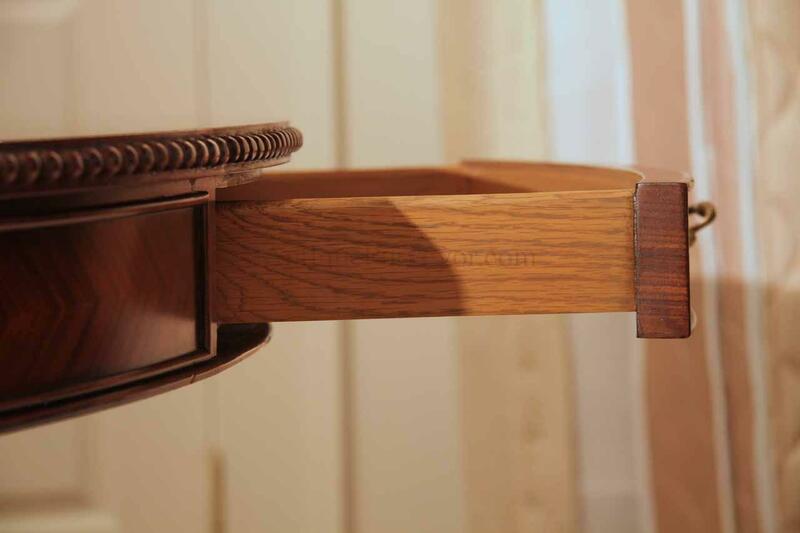 It has working drawers and faux drawers alternating around the perimeter. 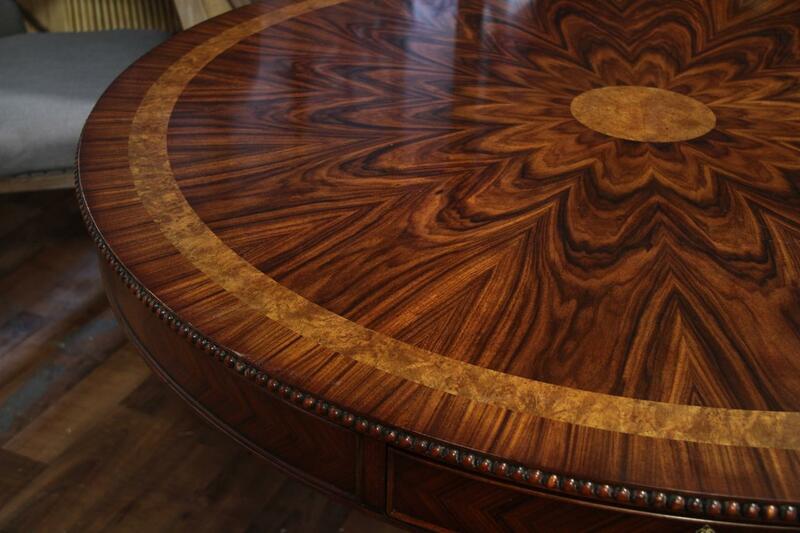 Pie cut rosewood Veneer field and banded with pollard. 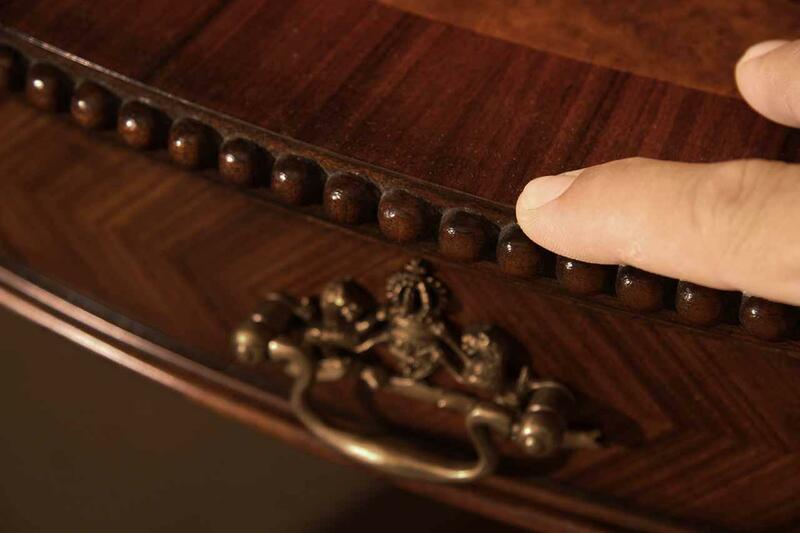 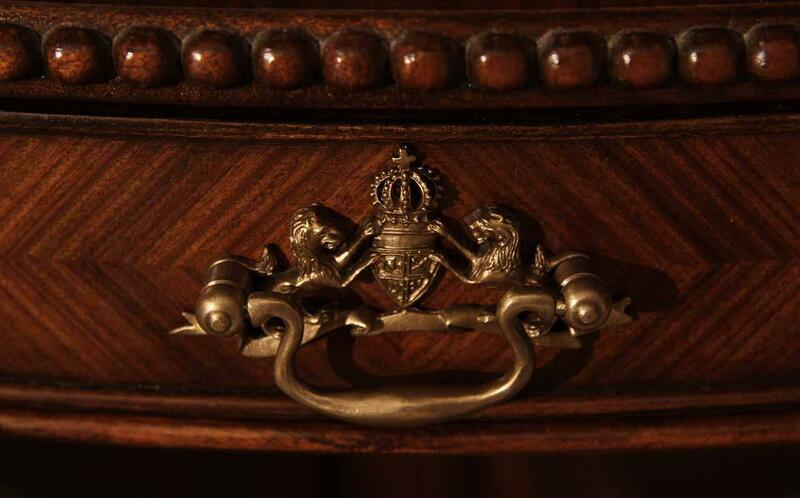 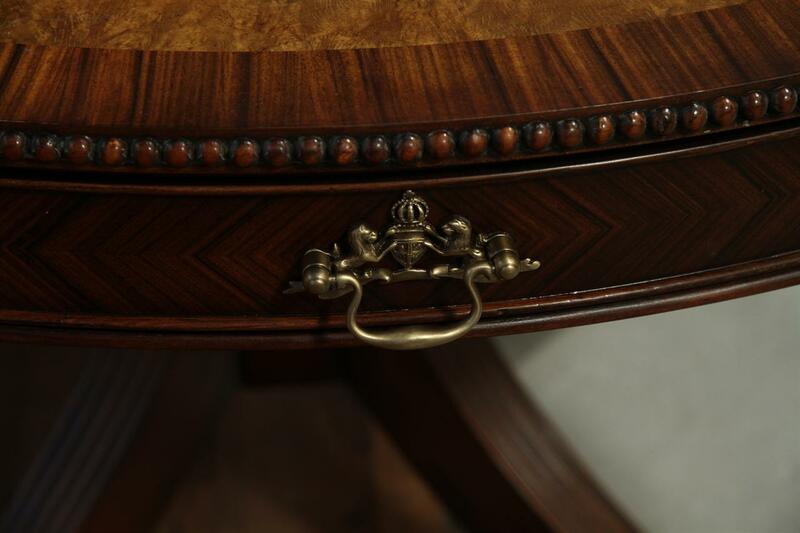 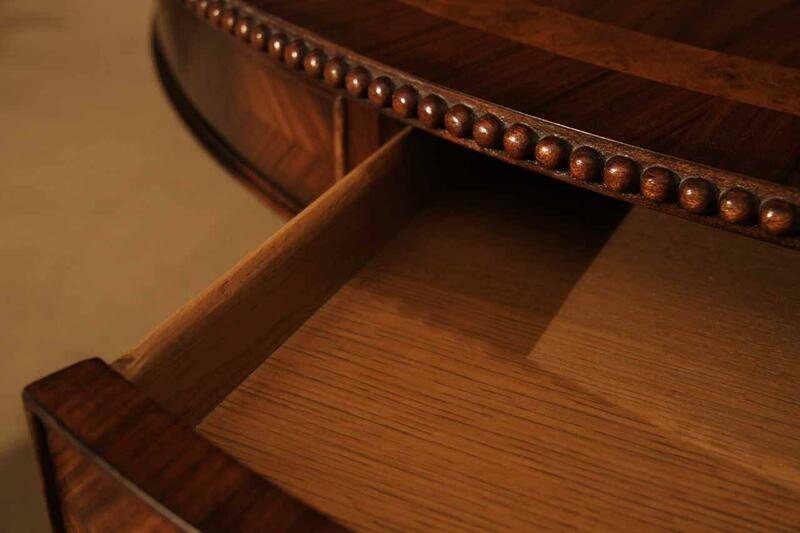 Edged with fine carved beads which decorates the perimeter of the table like jewelry. 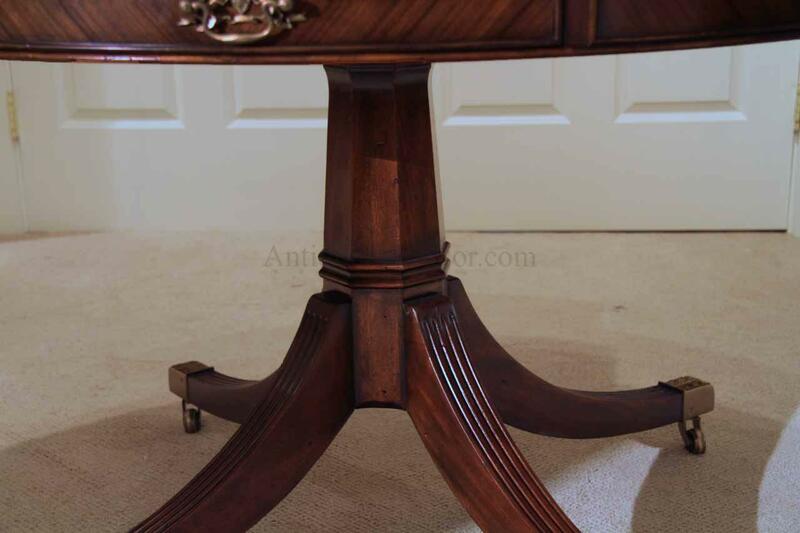 Brass handles and hexagon column pedestal with outswept legs. 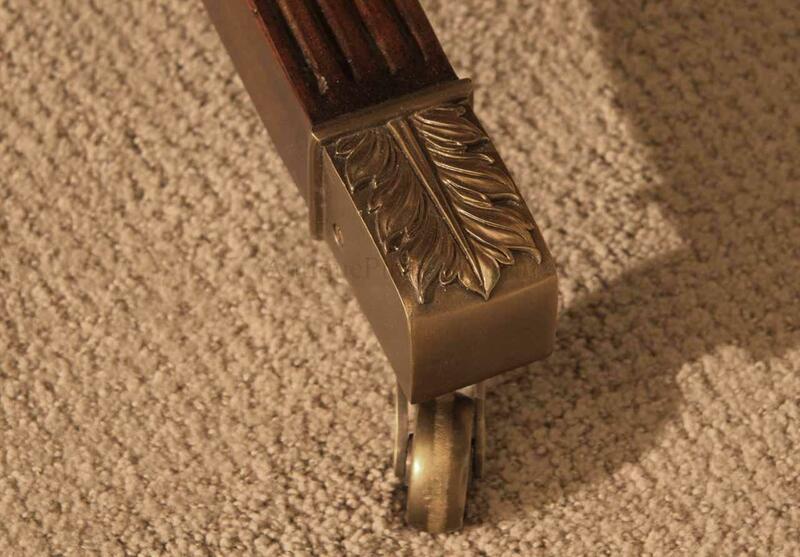 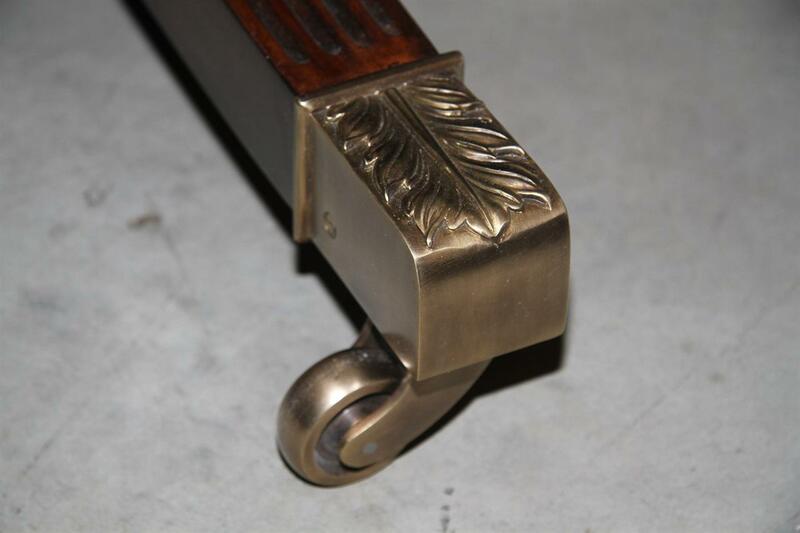 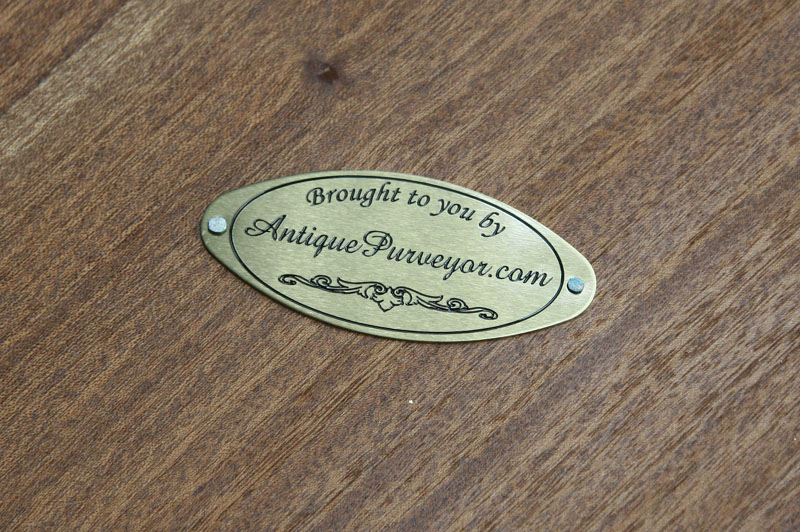 Solid brass leaf cast foot caps with casters.